Cicadas in New Zealand are similar to cicadas everywhere. They are a big, high energy potential food source that trout love. When the Cicadas are out the fish will take without much caution, and will be far more active feeders. When I hit the cicada hatch right a good pool might have a dozen brown trout actively feeding just subsurface. A well presented Madam X will usually get a take. 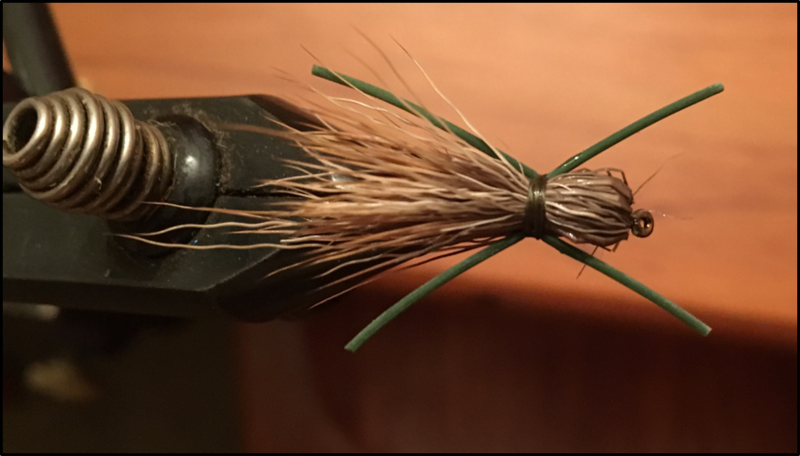 The reason I like the Madam X so much is it is the quickest and easiest cicada pattern to tie. When dressed heavily it is extremely durable. I know my Madam X does not look as close a representation of a cicada as other flies, but as long as I put the fly in the right place and not give the trout too much time to think about it, fish will take it. 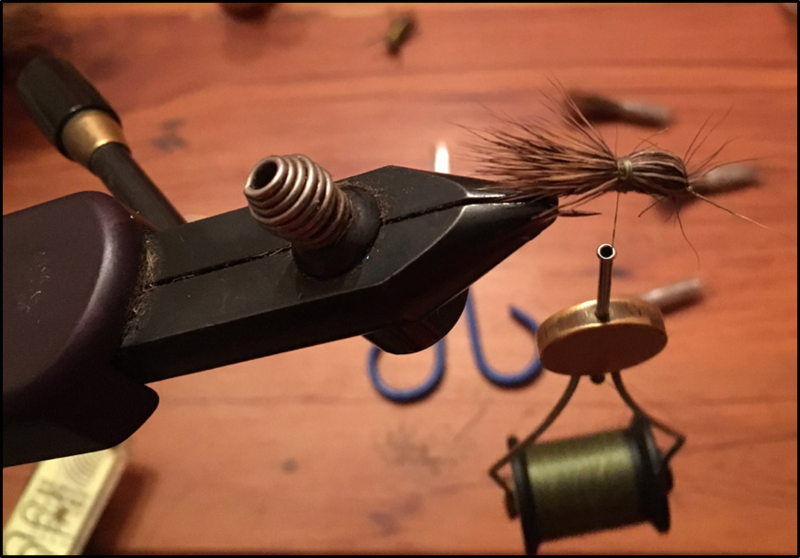 As with other high energy potential flies, the right place does not mean the kind of inch perfect presentation needed for a small hare and copper, caddis nymph or small dry. Get the Madam X near enough to the fish so the fish sees the splash of the fly landing and it will almost certainly come over to look at it. Not all fish take, but when Cicadas are around most fish will look up when they see a splash on the surface. Tie in deer hair tail. 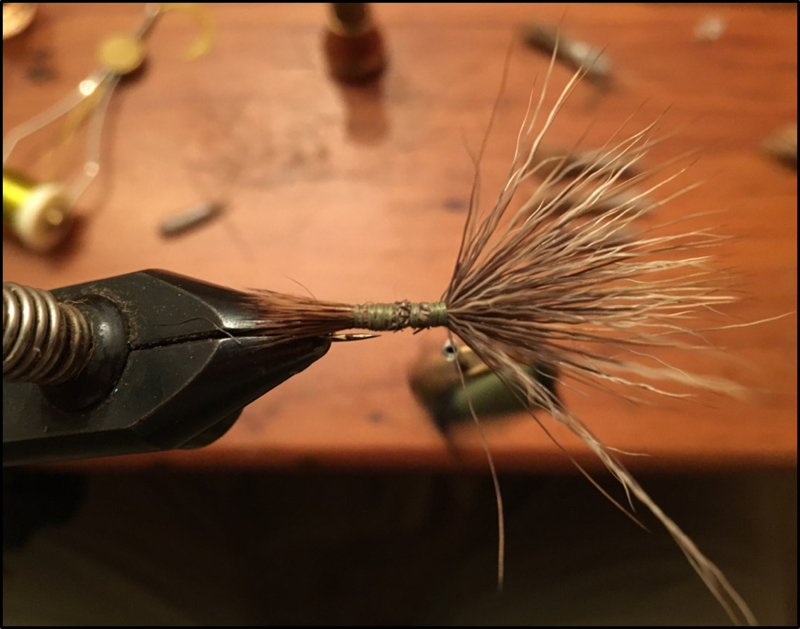 Tie in deer hair for the head and wing facing forward of the eye of the hook. Tie in the yarn and build up a body of the fly and tie the yarn off. Fold the deer hair back to form a head and a wing and tie in place. Add a leg to each side and tie off. 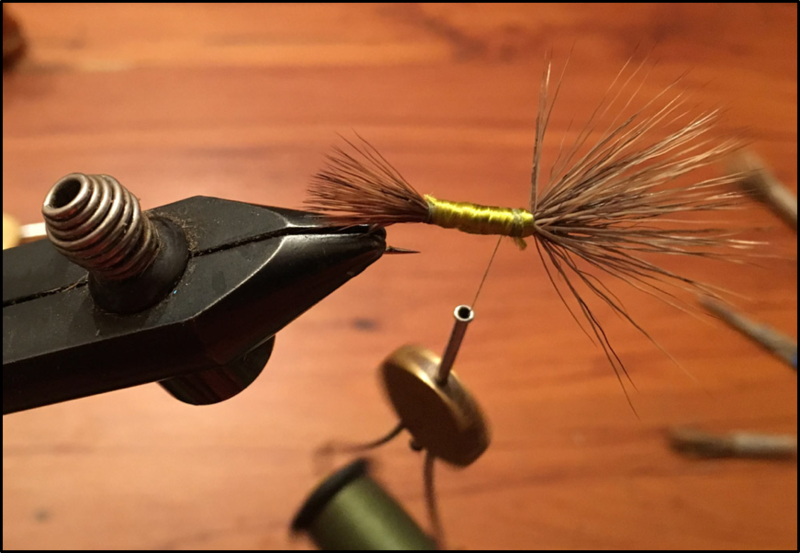 I use sellotape to tape up a number of stacked deer hair clumps so I am not stacking two new clumps for both flies. 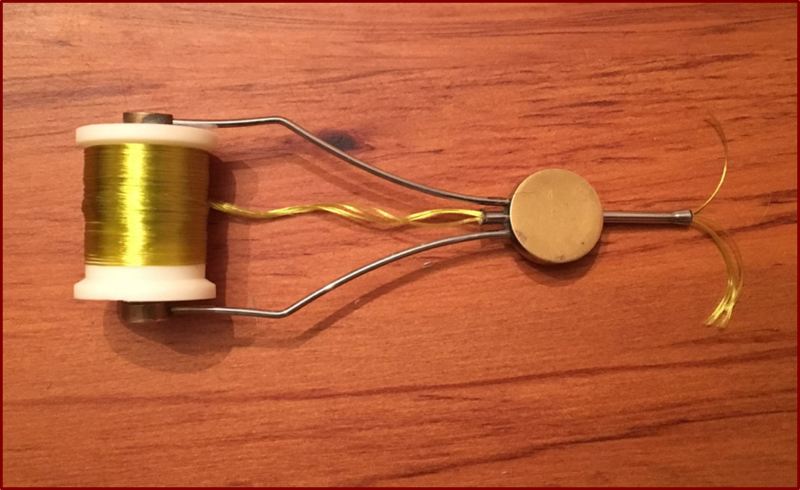 Running the caddis yarn through a bobbin makes it easier to apply. Precutting the legs also speeds up the tying. I usually tie ten Madam Xs at a time, so have enough clumps of deer hair and enough legs laid out on my bench. This fly can take a fair bit of punishment so it is worth gluing heavily so it holds together. This is one of the few flies I repair rather than throw away when they are damaged. The legs often come off, and are easy to replace. 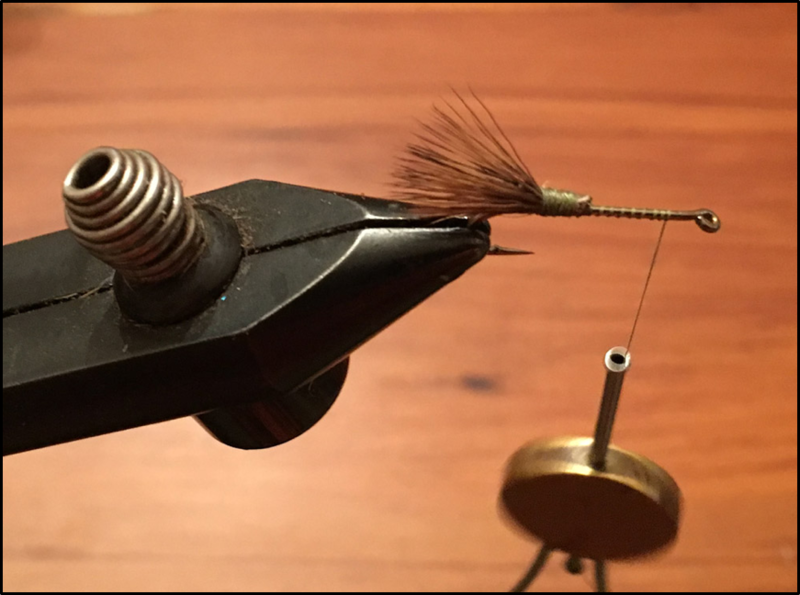 I use extra heavy hooks for this fly, which is not what is unusually recommended for dry flies. 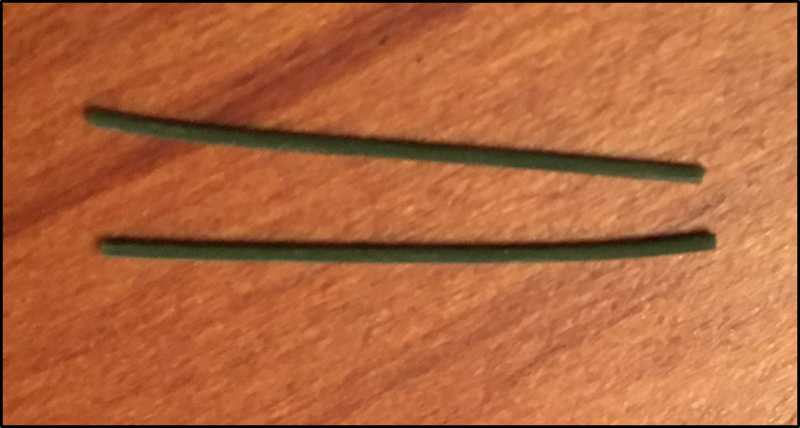 The Madam X is a big buoyant fly, so the hook weight is negligible, and I would rather add a little more floatant than lose a fish with the hook opening. I cannot remember ever having a Kamasan B175 or B200 #10 opening up on a fish. Where I live Cicadas can be around for several months over the summer. Even before they are really out and making a lot of noise, which means early December, fish will often come up and take them. Later in the summer when the population of Cicadas is at its peak most fish will take them if they are not spooked by the cast. Presentation is not as important as at other times of year. Inaccurate casts still catch fish, and fish are looking for a big, clumsy splash when a cicada lands. Some fish will respond better to a cicada that hits the surface hard, which is achieved accelerating the forward cast so the fly hits the water hard. Fish will also take a perfectly presented fly that lands gently and floats over them. Weather conditions play a big part in the Cicada’s life. I know that the long Cicada season I get is something to be thankful for as in other areas it only lasts for two weeks or so. The Madam X can get waterlogged and start sinking just below the surface. This is not a huge problem for sighted fish, as they will still take a cicada under the surface. It is more of a problem if fishing blind, and there is no perfect solution. As you can see with my tie of the Madam X I dress it very, very heavily to provide buoyancy. This helps, and I also dress it very, very heavily with Gherke’s Gink. When the fly is wet squeezing it will get some of the water out, and my experience is Gink will help a wet Madam X float. The other trick with a wet Madam X is not to be too aggressive when putting the fly on the water. 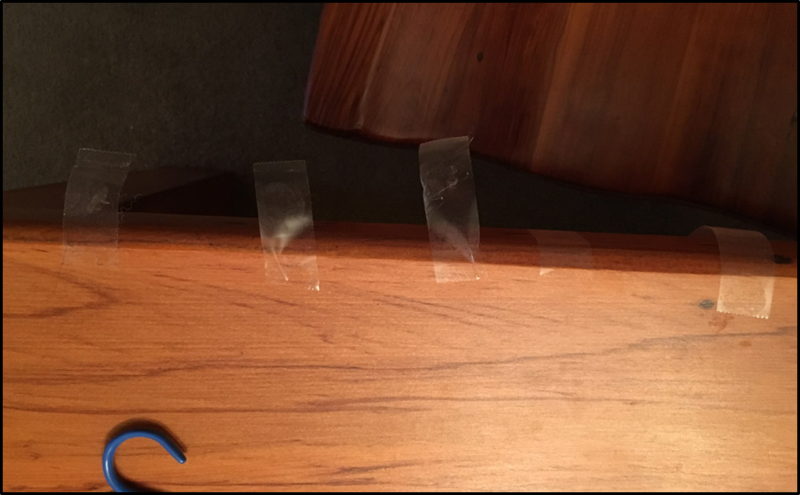 A heavy impact will take the fly through the surface film, while a more gentle impact will see the fly stay in the surface film.